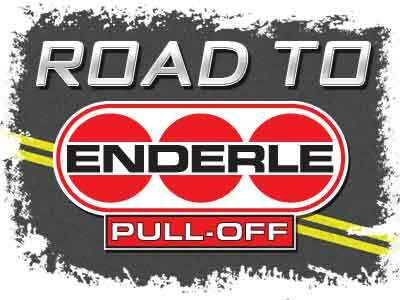 Worthington, Ohio---The 2018 edition of the Enderle Memorial Pull-Off will carry forward the tradition of rewarding both the nation’s toughest competitors and the sport’s savviest fans with pulling’s richest one-day invitational. All will gather at the Champaign County Fairgrounds on summer’s last Saturday night, September 15, to celebrate the season that was with one final festival of horsepower. The competition will begin at 5 p.m. with 11 Regional National classes packed with 43 champions and qualifiers from across the country. Making their return to Urbana’s twin tracks are two RN divisions that last appeared in 2016: Pro Stock Tractors and Pro Stock Diesel 4x4 Trucks. Here is the list of RN qualifying paths. As in years past, points acquired at 2017 events in Allegan and Raleigh will count toward 2018 berths, while this year’s results at Old Washington, Allegan, Dover, West Salem, and Raleigh will factor into the 2019 Enderle. After a brief intermission, action will resume with the top five from each of 13 Grand National divisions taking their turn at claiming their share of over $70,000. Pre-event tickets will be available for purchase starting August 1 on ShopNTPA.com and at O’Reilly Auto Parts stores nationwide. Up-to-the-minute details will be posted to the Enderle Pull-Off’s official site, AllStarPull.com. And pullers and spectators alike can track who’s in and who’s looking in by checking the Standings page at www.NTPAPULL.com all season long and the weekly “Road to the Enderle” Traffic Reports beginning at midseason.